The national housing market is in a very unique place right now. Equal parts optimistic and cautiously restrictive, new and seasoned home buyers across the country can see the signs of a revitalized market. The Silicon Valley, however, has seen a stronger market than the rest of the U.S. for quite some time now, even during the downturn. Living in the midst of what is still considered a seller’s market, first-time home buyers can find the process to be frustrating because of the low inventory and hyper-competitiveness of the offer process. Buyers struggle with not only coming to terms with the high market values of homes across the Bay Area, but also the need to assess what they consider the “added value” each individual property is worth to them so they can make an offer that would put them in the most competitive position and hopefully one in which they win. Know What You Want Going In. There’s no overstating how quickly the home buying process can move in a seller’s market. Unfortunately, losing an ideal home or two is often a rite of passage for first-time home buyers because they do not have a fully-formed vision of what they’re looking for. Prior to contacting realtors and inquiring about properties, go online to view available homes, determine preferred neighborhoods, and refine the shortlist of property features that you absolutely need. Once you have a few locations in mind, visit them during different points of the day to assess the overall state of the neighborhood. Show That You’re Serious. When it comes to home buying, there’s no room for half-measures since so much is at stake for all parties involved. It’s essential to have concrete proof of your financial responsibility and security in order to finalize a deal; in fact, in many local markets, closing on a home is, for all intents and purposes, impossible without mortgage pre-approval. Be advised, though; this is not the same as pre-qualification, which is more of a verbal affirmation of your ability to be approved. Pre-approvals, on the other hand, demonstrate that you’ve already undergone a credit check, income verification, and that you’ve been authorized for a loan for a specific amount. Take the Burden Off the Seller. There are a number of ways you can do this, including what we just discussed with mortgage preapproval. Putting down the largest down payment possible is another way to inspire seller confidence. Submitting proof of funds with your offer and working with a reputable lender all contribute to the strength and stability of your offer. In short, the easier you make the process for the seller, the more likely they are to select your offer and fulfill the transaction. Understand Your Budget and Account for All Costs. Prior to the housing crisis, many people purchased homes with mortgage payments they could, at best, barely afford, but few accounted for the ancillary costs of home ownership, such as insurance expenses, taxes, property maintenance, and homeowner association fees, just to name a few. Make sure you don’t fall into the same trap; account for all additional expenses so you don’t find yourself underwater after only a few months in your home. Interest rates have remained historically low for many years, but have rapidly increased over the last couple of months. Sit down with your mortgage consultant to discuss rates, your purchasing power and affordability. Be Ready for Success. Some people don’t realize how quickly real estate transactions can proceed. When you are home shopping, you will want to be ready to move on short notice since most transactions in the Bay Area close within 21-30 days. Be ready to buy your new home by taking a few steps in advance. For instance, toss the clutter you won’t be moving with, and have a moving company in mind. We asked experienced local movers for their advice, and they report that the highest home-buying months are also the busiest moving months. So having a mover picked out and an estimate in hand will save you the headache of coordinating all that on short notice if your offer is accepted! Trust the Experts. Even equipped with the information above, home buying in a seller’s market is still an ultra-competitive endeavor that requires ample time and patience. If the process is making your head spin, work closely with your experienced real estate agent. I eat, sleep and breathe this market and constantly keep my clients up-to-date on pivotal market information as well as advise on property inventory, average duration spent on the market, and the discrepancy between listing price and actual sale price. 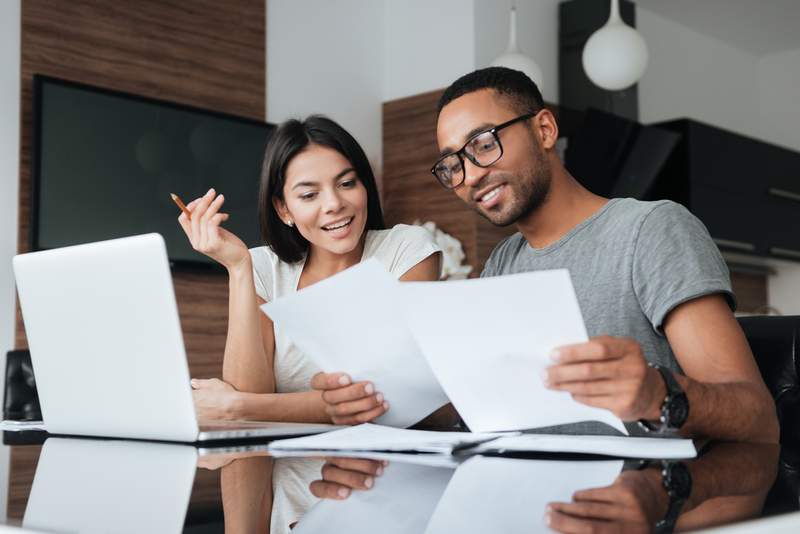 Home buying marries the excitement of new beginnings with the logistical burden that comes with most major life decisions, but keeping these tips in mind will help you make the process a rewarding one. With a lot of patience and a little savvy, you can lock up your dream property at a price you can afford.